A team of sleep-deprived volunteers from all over Europe, bringing you the latest in European matters every day. We publish news and in-depth analysis, but also memes and entertainment. My Country? Europe is all about Europeans working together and having fun together. European politics are our bread and butter - but, just like with any balanced diet, it doesn't stop there. History, traditions, food, travel, the arts: if it’s European, then we cover it! We are active on multiple platforms, each with tailored content to provide a full experience. Our WEBSITE hosts articles and exclusive features and you can meet fellow pro-Europeans on our FACEBOOK PAGE. Should you wish to join our thriving community of fans, you can head over to our FACEBOOK GROUP! You can find (or submit) great pictures from all over Europe on INSTAGRAM, be a part of the conversation on TWITTER and stay updated about Europe with our TELEGRAM CHANNEL. Need to get in touch? Send us an email over at [email protected] and we'll do our best to be of help! Your money will go right back into the project! Like the true workaholics we are, we'll use your patronage to set up events for the community, such as meet ups, conferences and more! Your support will also help us improve our website and organize social media campaigns to champion the European cause. - Are you a political movement/party? No, we are an editorial project primarily active on social media. - Do you plan to create a pan-European movement or party? No. We don’t believe single-issue parties stand much chance to achieve European unity. We have no electoral or political ambition of any kind. MC?E has always been, and will always be, about Europeans getting to know one another and bonding together. - Who’s behind the project? MC?E was founded in March 2014 by five young European students, in the wake of the Crimean crisis. The current staff counts people from ten different nationalities. Some of them have been friends for years, others have bonded while volunteering for us. Their continued support is what makes this all possible. - Are you left wing/right wing? No to both. MC?E does not have a vertically mandated editorial line: founders, editors and contributors come from all corners of the political spectrum, and their opinions are their own. - I really like the page/website, and I want more of it. What are my options? At the beginning of this document, you will find a complete list of social media channels where we have a presence. This list will expand as our project continues to grow. - I love your work. How can I help? We’re always looking for great content, no matter the platform. If you have a great picture, video, or news story and they’re relevant to Europe, do share by contacting us. Feedback and suggestions are always welcome. For more structured cooperations, contact us with details. We are not supported or funded by any institution or third party. You can help by donating on our website, or by visiting our store of PRO EUROPEAN MERCHANDISE. Oh and of course by becoming a patron! We'll send you an email to tell you just how much your support means to us. The project wouldn't be the same without you - or the cups of coffee we need to keep going! The email might or might not include random compliments. You look great today, by the way. No matter what we do, you'll be the first to know! The newsletter will include links to our articles, as well as updates on our events and initiatives, such as Rausten finally deciding to cut his hair (no, it's not happening). At this tier, your contribution to the cause has earned you a slot in our exclusive Telegram group! This is meant as a moderated discussion group reserved to backers. The founders of MC?E will occasionally pop in to listen to your suggestions and give you the dankest of memes! At this tier, you have gained access to classified documents. The MC?E Club is a Patreon feed restricted to backers and personally curated by us. The feed will contain exclusive content, videos, maps, polls and more. You have rendered our cause a great service - tell your grandkids! Your name shall be recorded in the annals of history and will be featured on our Patreon Wall, a dedicated page on our website that credits our backers. The credits will also feature at the end of our videos and other official documents such as our future ebooks! At this tier, the world's your oyster. You will receive big and exclusive discounts on official MC?E merchandise to coincide with the imminent launch of our brand new store! The essence of leadership is poring pensively over maps and infographics! Our crafted Wallpaper Pack includes those and more, and is regularly updated whenever we create new content. After 12 months of membership, you will unlock an exclusive digital booklet with articles and essays exploring a specific theme. At this tier, you begin to sense greatness. Join the editorial team of MC?E for a day! Under our guidance, you will have the chance to create, schedule and publish your own content on our channels. Subject to our final approval. You walk on the threshold of the inner sanctum! This tier includes a monthly text chat with the founders of My Country? Europe, to take place on Facebook or Telegram. We'll get in touch to agree to a date and hour! After 6 months of membership, you will unlock an exclusive digital booklet with articles and essays exploring a specific theme. You have climbed your way up to truly dizzying heights! At this tier, you get free, exclusive merchandise not available on our store, such as beer coasters, stickers and MC?E patches! 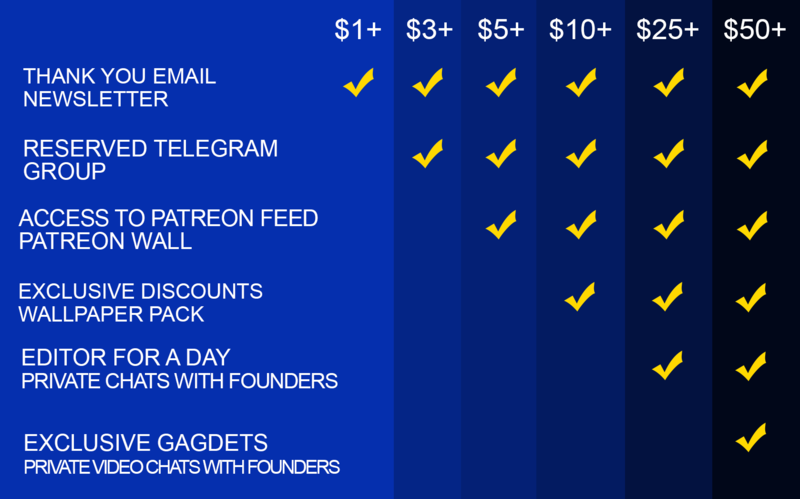 This tier includes a monthly videochat with the founders of My Country? Europe, to take place on Discord. We'll get in touch to agree to a date and hour! After 3 months of membership, you will unlock an exclusive digital booklet with articles and essays exploring a specific theme. At year's end you'll also receive MC?E's Year in Review, a digital booklet containing our very best articles and information on our achievements and activities from that given year. This tier is for you, George. Aside from all previous rewards and our eternal gratitude, this tier wins you a dinner with the admins, a physical copy of our future e-books and many more generous surprises.